Prepositions like in front of, behind, under, on top of, above, etc. are tricky for my son. I loved the idea from Speaking of Speech of using the song "The bear went over the mountain" to practice acting out prepositions. Since my son isn't that interested in bears, we changed this activity to have it be about snails :) Definitely tweak it to fit your own kids/students and make it about princesses, cars, trains, whatever... it will be more effective that way. I made a little "Snail went over the mountain" songbook for him that you can download here. He is really into singing using a songbook lately... so he loves it. I only used a few prepositions because I didn't want to overwhelm him. Others you could add when you act out are: around the mountain, into the mountain, by the mountain, beside the mountain, onto the mountain, next to the mountain, etc. I also made him a little snail puppet to use as we acted out our prepositions. 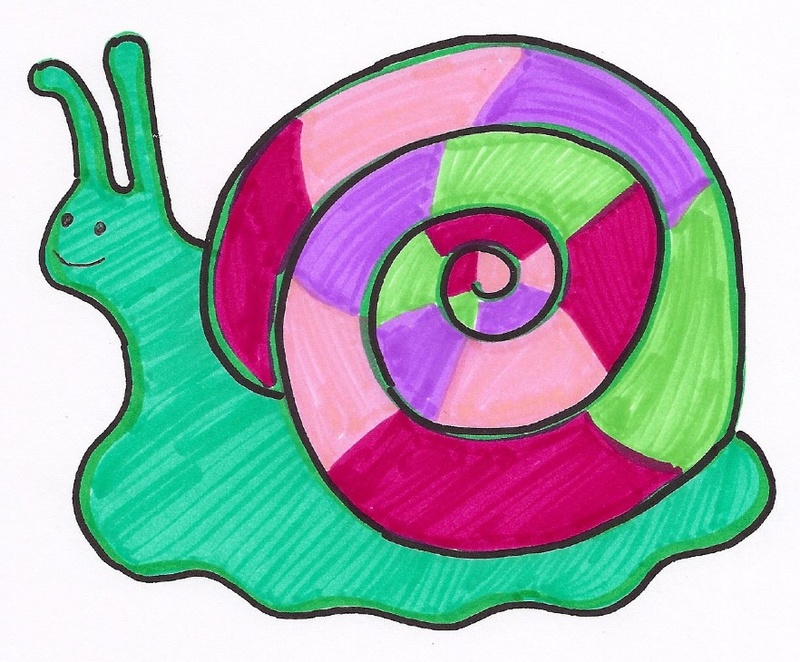 First, I drew a snail. You can download the image here. Then I cut it out and glued it to some thin cardboard (from a cereal box). Then I cut around the cardboard. Lastly, I taped an old paintbrush to the back of the snail. The paintbrush made the little snail puppet much sturdier than if I had used a popsicle stick. 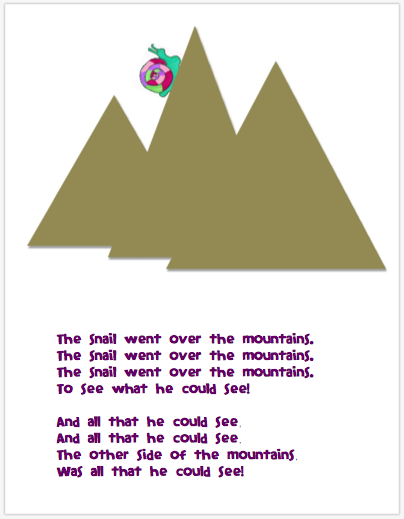 Acting out this story/song can be pretty open ended, so see what your little ones want to do and how they want to create their mountain. The main thing to focus on is the prepositions (and having fun!). We built a "mountain" out of pillows to help us act out the story. And then we used our own bodies to act out the prepositions as well! If You Were a Preposition by Nancy Loewen is a fun book to read along with this activity. Check out a preview of the book here at Google Books.